First of all, the magazine has been renamed during that time (since two issues it’s not called “Magazine” but “Traveller”) and has gotten a bit bigger in size. 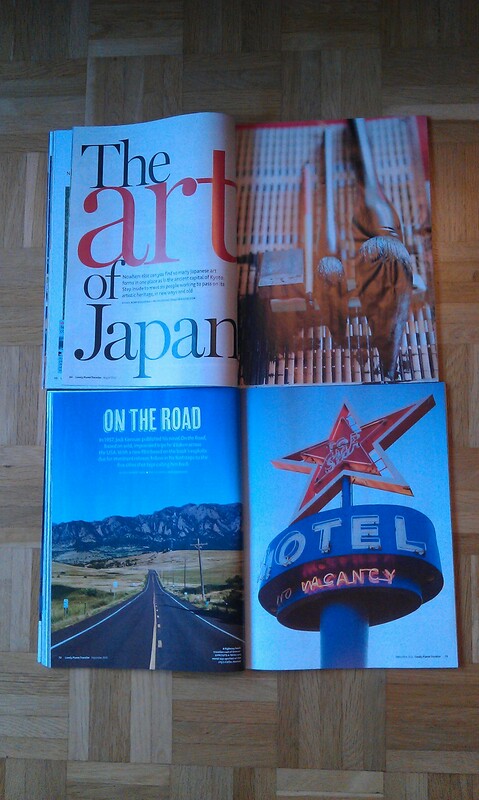 Pictures are from the September & August Issue next to each other. Discussed content is from the September Issue. 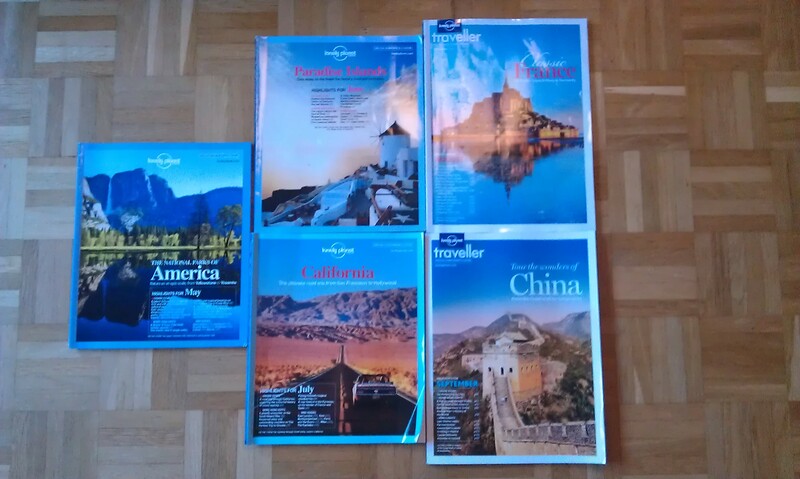 23 full pages of advertising well done and mostly on travelling. Often advertorials that you can hardly tell apart from real articles. Postcards: 7 very beautiful pictures from the readers. Some printed even on a double page. 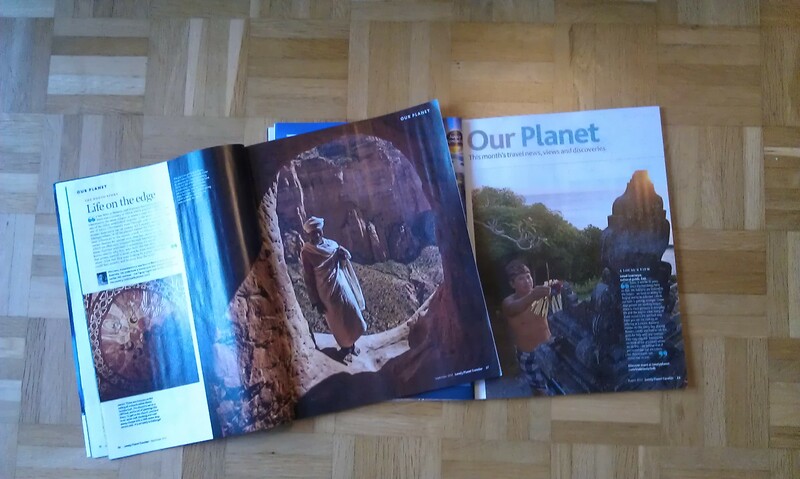 Our planet: Here you can find lots of bits and pieces like travel news and always a photo story. In the September issue the photo story is about christians in Ethiopia. 5 big articles: Here you have different kind of stories. One of them is “The perfect trip”. In the September issue it is China. It explains exactly were to stop for what with a little map. Another of this months articles is “Whats the story? – Dublin on the foorsteps of novelists, poets and playrights”. Other than that there is “On the road”, an US feauture, “A touch of brass”, a feauture on a serbian village with a brass music festival, and an article on the History of the world, where five locations and their history (not so much travel guide but information) are described. All those articles come with beautiful pictures but they could be a bit more pagewide but this has actually already grown better with the remake of the magazine. Another nice feature is the “Make it happen” area even though from my perpective there are too many high class, posh and/or expensive options named here. This is a general thing about all articles: shoestring travelling doesn’t seem to be in the main focus here. Amchair traveller section: Here you have a guide with British tv shows on travelling, online exihibitions and books. 6 Miniguides: The miniguides contain 2 pages full of information and are meant for cutting out and folding. They are on special paper as well. They have “tips”, “transport & where to stay” and “knowhow” and a map, e.g. 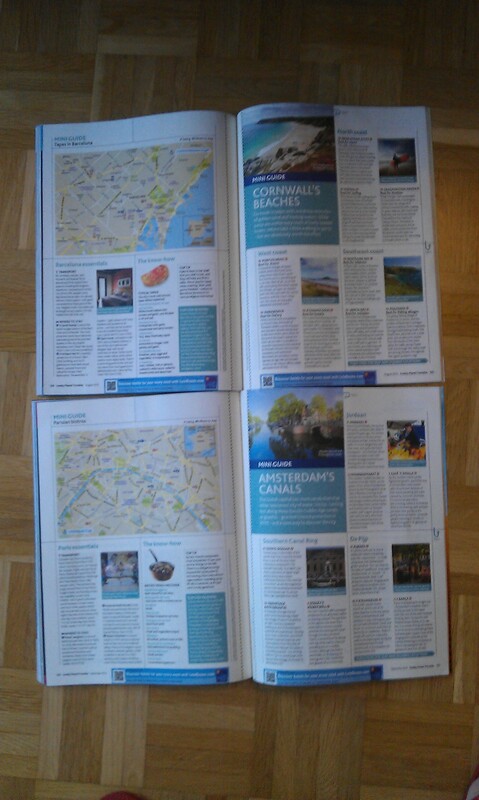 Amsterdam’s canals (could have used that but this guide arrived the weekend that I was actually in Amsterdam). World miscellany of curious facts: this is always the last page and has as it says, some curious facts on a destination. Sometimes the magazine comes with a special too. 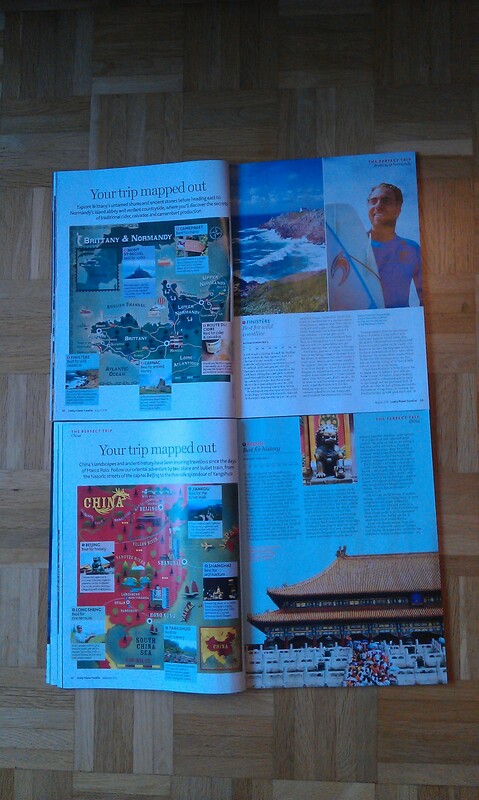 This month had none, but I already got a small travel guide on Barcelona and one on San Franscisco. Overall I can say that when I got the magazine for the first time, I was a bit disappointed. It was too much on luxurious travels and not as shoestringy as I had expected it and had quite a lot of advertisement in it. But now that I’ve gotten over it and got used to the different sections I quite like the magazine. What I especially like is, that it has lots of ideas for weekend getaways within Europe even if many of them are, of course, as it is a English magazine, in England. The changes that the magazine has undergone are for the better. It is a nice read, but if you are looking for backpacker information, than this is not especially the magazine for you. 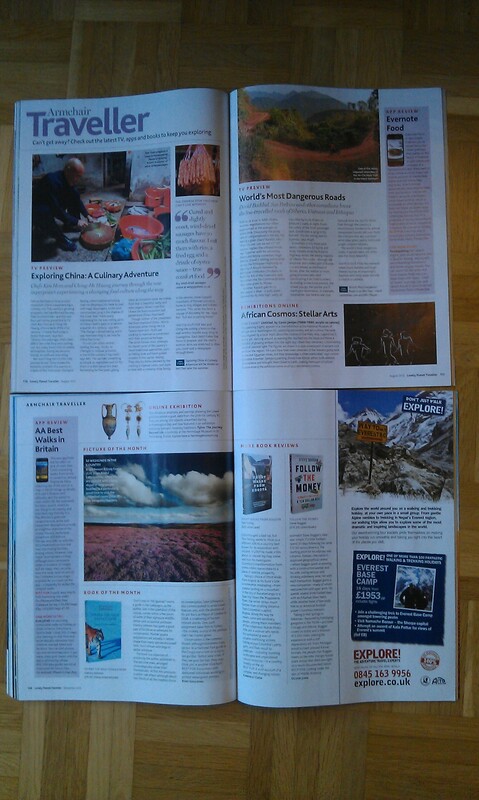 This entry was posted in At home and tagged Lonely Planet, Magazine, Review by kathatravelling. Bookmark the permalink.